We at Mommy's Moments are super excited about this giveaway!! Win One! 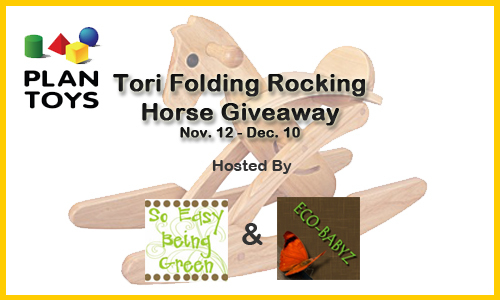 Plan Toys is blessing one of you with a folding Tori Rocking Horse for your little one. What a perfect gift!! This rocking horse would be perfect as with a small house the need for space is necessary, being as this horse folds up for easy storage. I love this giveaway ... I hope I can enter to win this for my niece for Christmas!